Learn how to defuse the anchoring bias and make smart first offers. What exactly is anchoring in negotiation, and how does it play out at the bargaining table? Consider this anchoring bias example from Harvard Business School and Harvard Law School faculty member Guhan Subramanian. While running a negotiation simulation in one of his classes, Subramanian noticed that one student spent a considerable amount of time explaining why $10.69 per hour would be an impossible wage rate to offer the student’s counterpart. The final deal price? $10.69 per hour. Now try to imagine that you are about to enter a job interview hoping for a salary of $75,000, based on your past experience and industry standards. If you are only offered a salary of $45,000, you may find yourself making a counteroffer of $55,000—which is far less than you think that you are worth. Due to the other party’s first offer, the possibilities for an agreement have narrowed in your mind. 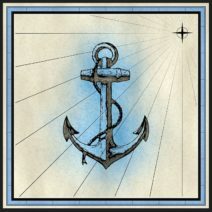 A well-known cognitive bias in negotiation and in other contexts, the anchoring bias describes the common tendency to give too much weight to the first number put forth in a discussion and then inadequately adjust from that starting point, or the “anchor.” We even fixate on anchors when we know they are irrelevant to the discussion at hand. Economists Amos Tversky and Daniel Kahneman first documented the anchoring bias in an experiment involving a roulette wheel marked with integers ranging from 0 to 100. Each participant witnessed a spin of the roulette wheel. They were then asked whether they thought that the percentage of United Nations member countries that was from Africa was greater or smaller than the number spun on the wheel. Next, they were asked to make an estimation of the true percentage. Participants who saw the wheel stop on the number 10 guessed, on average, that the actual percentage of African countries belonging to the United Nations was 25%. By contrast, those who saw the wheel stop on the number 65 guessed, on average, that the percentage from Africa was 45%. In the experiment, a clearly random number nonetheless had a dramatic impact on people’s judgments. Even experts, such as real estate agents, can be powerfully affected by anchors in negotiation, research shows. Why are anchors so effective? When conditions are uncertain, high anchors draw our attention to the positive qualities of the item or individual (as in the case of a salary negotiation) being discussed, and low anchors draw attention to flaws, according to Columbia Business School professor Adam Galinsky. Research on the anchoring bias has shown that negotiators may be able to gain an edge by making the first offer and anchoring the discussion in their favor. The decision of whether to make the first offer generally should be based on two factors: your knowledge of the zone of possible agreement, or ZOPA—that is, the range of options that should be acceptable to both sides—and your assessment of the other side’s knowledge of the ZOPA. When you believe the other party likely knows more than you do about the size of the ZOPA, you will have difficulty anchoring effectively. Before dropping an anchor in such situations, arm yourself with as much information as possible. If both sides have a strong sense of the zone of possible agreement (ZOPA), as in the case of a longtime relationship between a supplier and customer with open books, anchors are unlikely to have a strong impact. If neither side knows much about the size of the zone of possible agreement (ZOPA), you may be able to effectively drop an anchor, though you could risk being too concessionary or too demanding. If you know a great deal about the asset up for discussion, you can make an aggressive first offer with confidence and expect that your offer will anchor the discussion to your advantage. What should you do if your counterpart drops the first anchor? The first and perhaps most important step is to recognize the move, according to Subramanian. A common mistake is to respond with a counter¬offer before defusing the other side’s anchor in negotiation. If someone opens with $100, and you want to counter with $50, before presenting your number you need to make clear that $100 is simply unacceptable. Defuse the anchor clearly and forcefully: “I’m not trying to play games with you, but we are miles apart on price.” If you don’t defuse the anchor first, you are suggesting that $100 is well within the bargaining zone. After defusing the anchor, move quickly to your counterproposal, with the caveat that mentioning the anchor explicitly and repeatedly might validate it. Then, when making a counteroffer, be sure to explain why it is fair and justifiable. How do you react if someone drops the first anchor in a negotiation? Share your bargaining table tips in the comments.